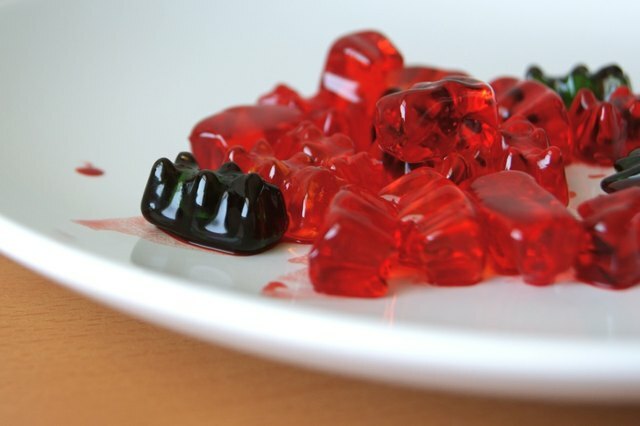 By themselves, gummy bears are the perfect combination of chewy and sweet. 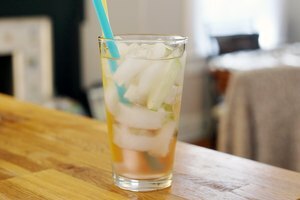 When you add them to Kool-Aid, you get a new mix of flavors that can be fruity or tangy, depending on what you choose. This innovative, messy snack probably isn't one you'll make every day. But it's an effective way to entertain small children or impress your friends and family. 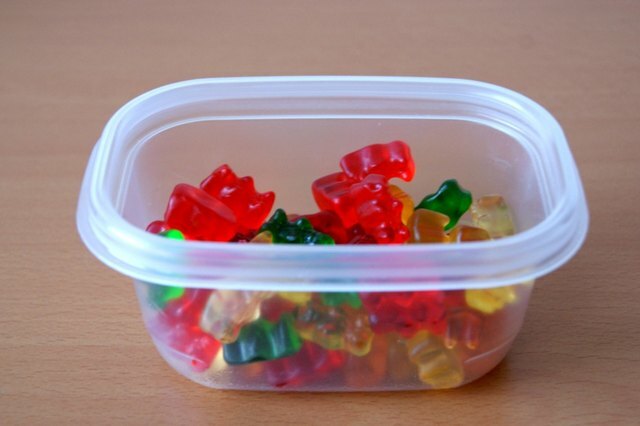 Pour 1 cup of gummy bears into a small plastic storage container that has a lid. 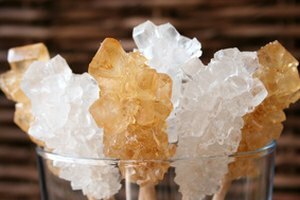 If necessary, you can add other gummy candies into the recipe for the same result. 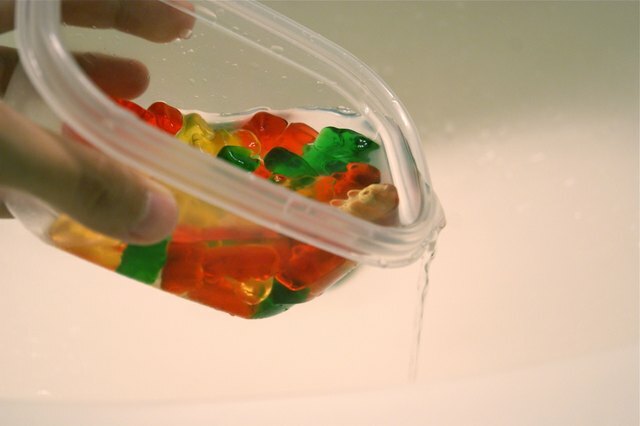 Rinse the gummy bears off under a cool stream of water, then drain all the water from the container leaving only the wet candies behind. Pour in 2 tablespoons of Kool-Aid powdered drink mix. To avoid a mess, snap the lid on the container and make sure it's secure. Shake the container back and forth for about 10 seconds. 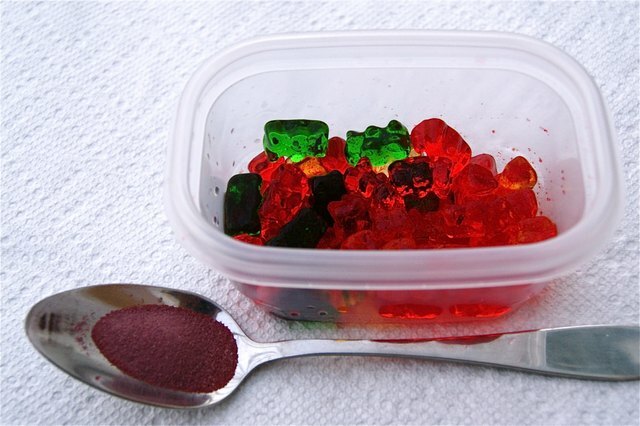 Once the powdered drink mix comes into contact with the wet candies, it will turn into a sauce-like consistency and give the gummy bears new flavor. Eat the gummy bears using a spoon in order to keep your fingers from becoming stained by the Kool-Aid. For more fun, add them to fruit juice, use them for ice cream toppings or use them for decorating baked goods, such as cupcakes, after the baking is done.